!!! US Customers click here !!! Jelco tonearm models provide the best performance of tonearms up to $4000, and outperform more expensive tonearms from Clearaudio, Origin Live, Pro-Ject, Rega, Roksan, etc. Jelco tonearm models are made by the Ichikawa Jewel Company, which was established in 1920, as a manufacturer of the high-end audio plugs, as well as audio accessories. Their Japanese engineering is second to none (think Lexus). Jelco makes their own jewelled bearings and other parts in house and are in complete control of quality. We are passionate about analog playback and have much extensive experience with Jelco tonearms. We offer special pricing for tonearm packages including. DIN based phono cables. We recommend the Audio Sensibility Impact Phono Cables which provide excellent performance at an affordable price. Heavy Counter Weight necessary for certain moving coil phono cartridges. 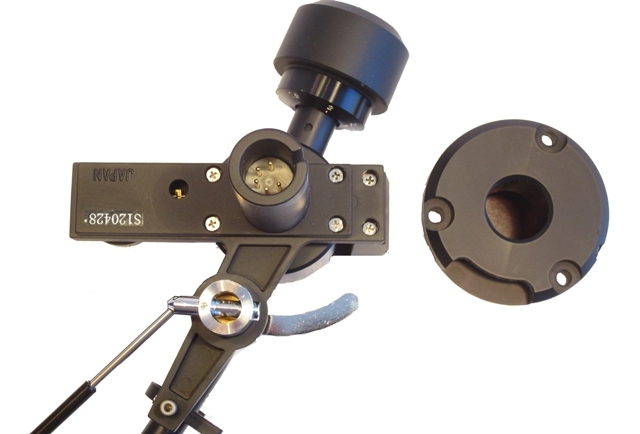 Jelco makes tonearms for many of the big name companies in analog audio, both current and past. They made the famous Sumiko MMT tonearm and we believe the Linn Ittock II tonearm as well. Here are some of the companies who have marketed Jelco tonearms under their own names: Koetsu, Sumiko, Audioquest, Linn, Oracle, Ortofon, Ariston, Roksan, Revolver, Mission, and Graham. Make sure that you are getting a genuine Jelco SA-750 and not the much older and incompatible SA-370 or OEM tonearm equivalents such as the LAD. The SA-370 is NOT ‘virtually identical’ to the SA-750. use the much cheaper HS-50 headshell which is missing the azimuth adjustment and made of inferior material.